As some of you already know, calculators was the driver behind the first computers and the first CPUs integrated on a single piece of silicon. Before that age, we had electromechanical calculators. They are as beatiful to look at as they are outdated today. 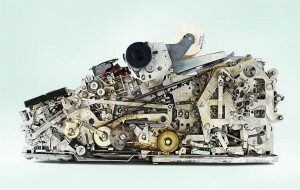 Photographer Kevin Twomey has explored these contraptions (and more).